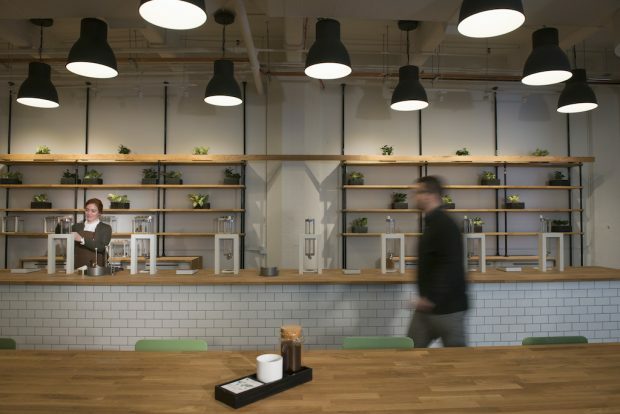 The Alpha Dominche Extraction Lab in Brooklyn, N.Y. Photo by Jonsar Studios. 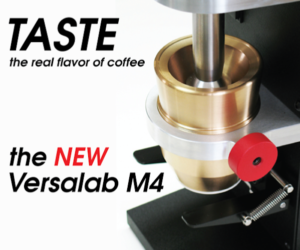 Alpha Dominche, maker of the visually striking immersion-style vacuum brewing Steampunk machine and its newer batch-brewing counterpart Sight, has just announced the Feb. 3 opening of a public showroom and progressive roastery café in Industry City, Brooklyn, N.Y. 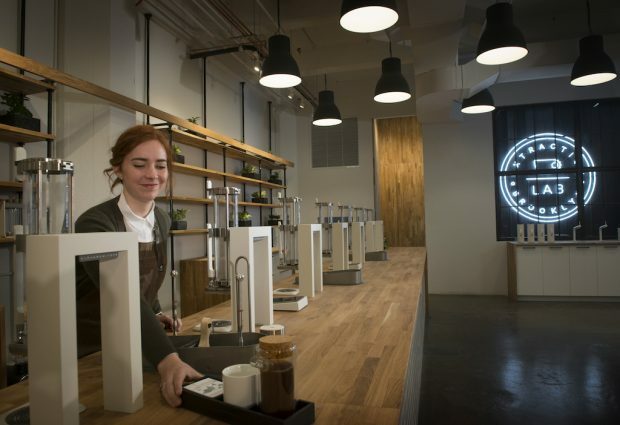 The 2,000-square-foot facility will be called the Alpha Dominche Extraction Lab, and will offer both coffee and tea brewed exclusively via Steampunk and Sight. 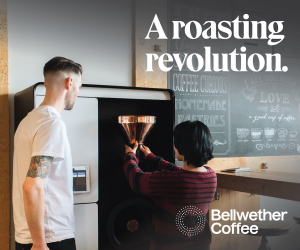 The Extraction Lab coffee program will be a multi-roaster model of unprecedented reach, with the company also offering coffees roasted in-house. 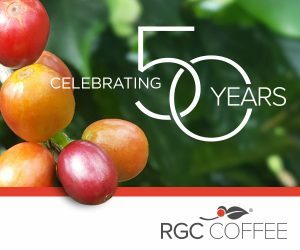 Customers will be able to make choices based not only on the roasting company and origin of a given coffee, but also by cultivar and processing method. 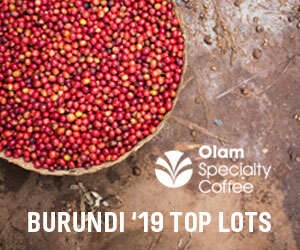 The store will regularly maintain a roster of offerings from 10-15 different roasters according to a recent press release, while a total of almost 50 roasters from around the world have agreed to participate. There will also be as many as 50 different brands of tea on display at any given time. In the announcement, Alpha Dominche CEO Thomas Perez emphasized the new shop’s balance of aesthetics and brew quality for a distinctive customer experience. Perez told Daily Coffee News that the in-house roasting program will be starting later this spring, and led by Extraction Lab manager Meredith Enzbigilis. Greens for the program will come exclusively from Ninety Plus Gesha Estates farms in Panama and Ethiopia. The list of roasters is literally world class, drawing from over 20 different countries. Of the 48 companies announced by AD, 14 hail from the United States, while other countries include Lithuania, Romania, Saudi Arabia, Dubai, Greece, and plenty of others. The entire list is posted below. Apple iPads placed throughout the Lab provide patrons with a digital coffee menu, as well as information about the Steampunk machine. 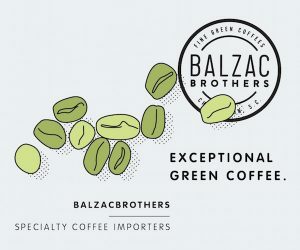 Ranging from $3 for the house roast up to $18 per cup of the more exotic offerings, every cup will be ground by Mazzer ZM Filter grinders for preparation in a Steampunk or Sight, then served on a tray along with a note explaining origins and tasting notes. Perez said that while the company has no plans to stock retail bags of whole-bean coffee for sale in the store or online, beans — both house-roasted and from partner roasters — will be sold by the gram at the counter, packaged in high-end cardboard tubes designed exclusively for the Extraction Lab with specific roaster info prominently featured on the packaging. As for whether the New York Extraction Lab might be the first of potentially multiple Labs in years to come, Perez said it’s too soon to tell. “We can’t share any specifics on this yet,” stated Perez, adding that for now the focus is on refining the concept in Brooklyn. “We’re very excited that the Extraction Lab will be a place we’ll meet the consumer directly,” Perez said of the new direction for the company, which previously marketed itself only in the commercial sphere. The Alpha Dominche Extraction Lab opens Feb. 3 at 33 35th Street in Brooklyn, New York. Do you ship your coffee for home use? Would love to try! In last few days I visited thrice, haha yes, For me, It’s different kind of place, with new technology and many varieties of Coffee and teas. If you are bored with same kind of drink, try this, it’s addictive for a coffee lover like me. Staff is really great; you will learn more about coffee.